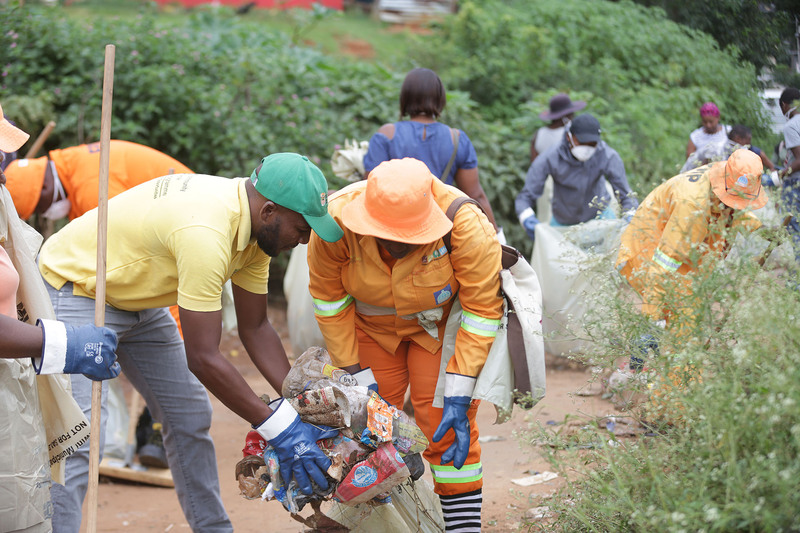 KZN MEC for Cooperative Governance and Traditional Affairs (Cogta) Nomusa Dube-Ncube yesterday visited the township of uMlaza, in the eThekwini Metro where she encouraged residents to take responsibility for the cleanliness of this important township. Dube-Ncube also engaged ward 88 residents on the various service delivery challenges they are experiencing. Chief among the concerns expressed by community members was the ongoing swell in ground water which poses a serious risk to the structural integrity of their homes. In response to this particular issue, Dube-Ncube summoned engineers from the municipality who assessed the problem and outlined steps that will be followed in order to divert the water. The community expressed their gratitude for the MEC’s intervention in this matter. Dube-Ncube also encouraged residents to take pride in their community: “It is important that you partner with us to keep our municipalities clean. The dirt we see around us should make us strive for a cleaner environment. In our homes and schools we need to teach our children that littering is bad,” said Dube-Ncube. The MEC also visited Inkonkoni Primary school where she announced the provincial government’s plan to refurbish the school. The refurbishment is part of government’s township renewal programme. Dube-Ncube serves as MEC champion of eThekwini Metro where she also resides.